Thanks to its young and urban designs, Moschino glasses have become a referent inside the sector. Its products are manufactured with the best materials to create comfortable, resistant and long lasting glasses. 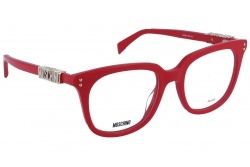 Their designs are based in the pop culture. Many of their models are based in Mickey Mouse, Barbie or the Looney Toons. 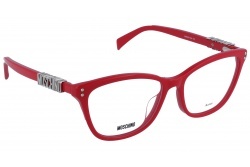 With these designs Moschino joins advertising with design creating very attractive products. Inside their wide catalogue, Moschino offers sunglasses for women. Among them you can choose the one that adapts best to your necessities and tastes. 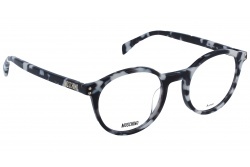 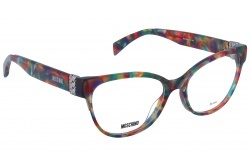 If you are looking for a striking style you can choose Moschino 011, with a coloured print. 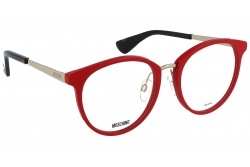 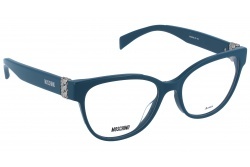 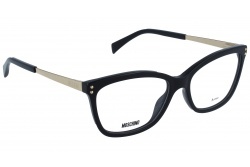 If you are looking for a more elegant model the brand offers Moschino 004, with black frame. 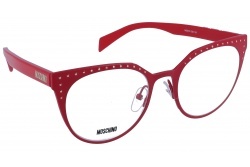 This brand also has a range called Love Moschino, intended for young women, modern and sophisticated. This collection plays with different shapes and materials, offering a product that makes a difference. 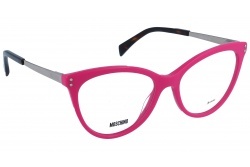 We can emphasize Love Moschino 002 with cat-eye shape in pink. 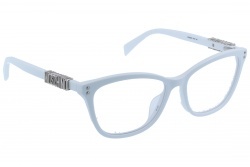 Furthermore, the brand has a wide variety of prescription glasses in all styles and colours. If you are looking for brilliant colours you can find the model 506, with cat-eye shape in red. 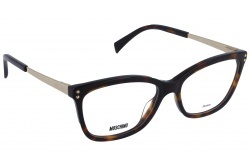 If you are looking for a discreet model, Love Moschino 517 have square shape in black. 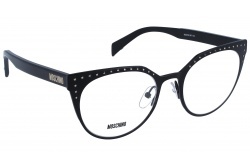 The first collection of the brand was launched on 1983 by Franco Moschino. In 1989 they opened their first store in Milan. 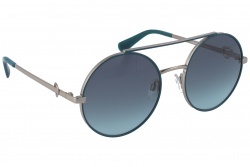 In 1996 they opened another one in Madison Avenue, in New York. In 2014 Jeremy Scott gets elected as creative director of the brand. 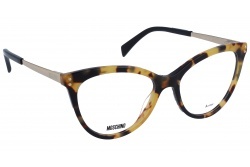 In the latest years he achieved a lot for Moschino, and also won the prize for best feminine designer in 2015.